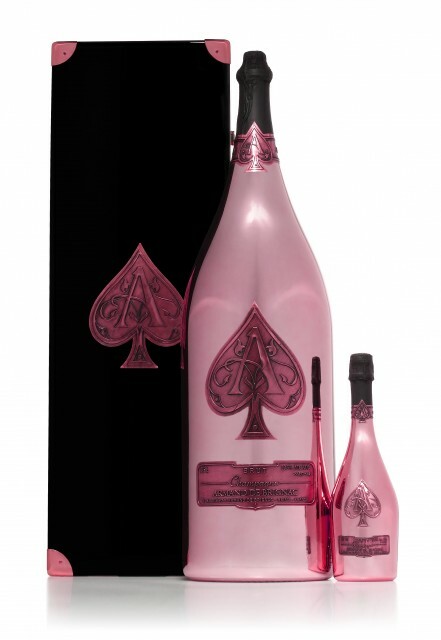 The 15l Nebuchadnezzar of Armand de Brignac Rosé, equivalent to twenty regular 75cl bottles, is housed in the brand’s signature metallic bottle finished with a pewter ace of spades. Only a limited number of bottles will be produced each year for the global market. Released in time for summer, the Nebuchadnezzar will make its debut at private members club Nikki Beach in St Tropez on 1 June. “This was the perfect time for us to release the Nebuchadnezzar as rosé is synonymous with summer,” said Philippe Bienvenu, commercial director of Armand de Brignac. “Armand de Brignac Rosé is fresh and full-bodied with a rich bouquet of red fruits and aromas of strawberries and blackcurrant – perfect for enjoying in the sunshine,” Bienvenu added. Last year the company released the world’s largest Champagne bottle format onto the market – the 30l Midas, named after the mythological god that turned everything he touched to gold. Equivalent to 40 regular 75cl bottles, the Midas weighs a hefty 45kg. Earlier this year young financier Alex Hope splashed out £125,000 on a Midas of Armand de Brignac Brut Gold NV at a nightclub in Liverpool, racking up the most expensive bar bill in the world in the process. Yvonne Lardner, Armand de Brignac’s director of PR has reported a large interest in Nebuchadnezzar’s of Brut Gold NV in emerging market Nigeria, which are being used for weddings and large family celebrations. Lardner also reports an interest in Ace of Spades Rosé from men: “We’ve found our Rosé to be really popular with men, the stigma towards the style seems to have gone,” she told db. Ace of Spades recently appeared in Nigerian singer D’banj’s music video for the song Oliver Twist. D’Banj is signed to rapper Kanye West’s record label. Last month db reported that Nigeria was developing a thirst for wine, and particularly high end Champagne, with its wine industry expected to reach US $370m by 2015.